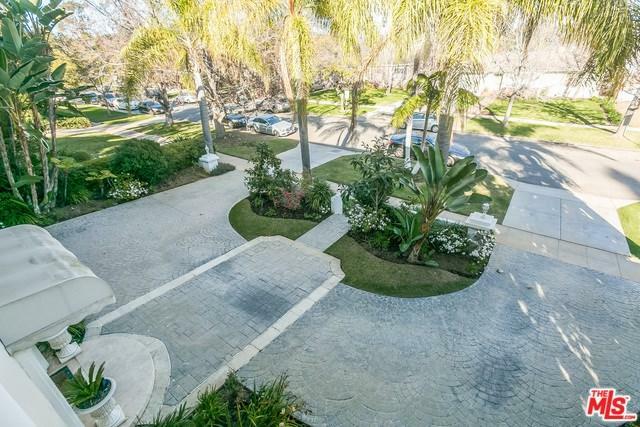 Exceptional, 2 story light and bright 5 bedroom, 7 bathroom house in one of the most desirable locations in Brentwood. You're greeted by a light filled foyer, high ceilings and beautiful skylights. Gourmet kitchen with all new stainless-steel high end appliances. Upstairs there is an elegant and spacious master suite. Three additional bedrooms up, all with en-suite baths. The fifth bedroom downstairs doubles as a guest-suite or maid's quarters. Private updated backyard complete with sparkling pool, spa and beautiful landscape. Freshly painted interior and exterior. Perfect for entertaining family and friends. Sold by Homa Taghavi of Compass.